I've had some kind comments about my new profile photo. Thanks! I had my super photographer sister, Heather, take some photos of me recently. I really hate being on that side of the camera, but I trust her. I knew she'd make me look pretty. If you are local, she can take photos of you & your family as well. Check out her website. Lately, I feel like writing a little more in this space about being a work at home mom & specifically working in the handmade market. People often ask, "How do you get it all done?" and I feel like discussing that a bit more. I'm wondering if you have any questions for me? Questions about the behind the scenes of our etsy shop business? Questions about my views & my passions on motherhood, being environmentally aware & eating less meat? Questions about anything really? Ask me your questions in the comments of this post. I will choose a few to answer. 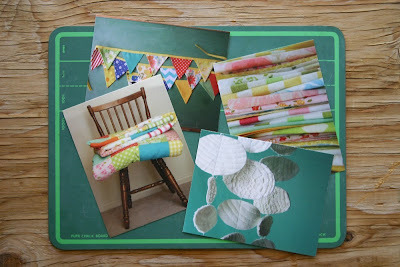 If I choose your question, I'll send you my new postcard set as a prize! So gets to askin'! I am a stay at home mom with similar interests and have been thinking of starting a little etsy shop myself. What advice do you have? I don't want it to take priority over my family. How do you stay balanced? I love your new profile pic too Candace, gorgeous! So I have been planning to open an Etsy store for a while now. I have a bunch of stock in a pile waiting to be listed. My question for you is; what are your top 4 tips for running a successful Etsy venture? I really want to know how you got started? How do you build up the business? I've thought about setting up my own little etsy shop for awhile now but the one thing that terrifies me are the dreaded taxes and setting myself up as a business. How did you jump those hurdles? Do you have a business license? Do you figure out all the taxes yourself? Any good resources out there that helped you when you got started? Thanks! I love your photography style. Have you taken any classes or had any formal training? Has your etsy shop inventory evolved from when you first started? I'm finding myself trying to find ways to create items that aren't quite as time consuming. Have you found ways to streamline your business? i love that new set! oh so cute. i'm sure this has been asked of you before, but how do you divide up your time so you sew, blog, spend family time, etc. i need some guidance. I want to know how you don't lost your patience with your kids? When I was selling on Etsy, someone always needed me when I was uploading photos or packing boxes, and the stress was too much. I was bad at it. When do you sew? Every time I sit down to sew, someone inevitably needs me and my project is left to wait or I start yelling! Do you sew at night when they sleep or entertain them really well when you need to sew during the day? I have sold my goddies at the markets for the past 6 years but due to financial changes everywhere market sales have dramatically dropped with the majority of people 'bargain hunting'. I have all my products listed online either through my website ( mumasupial.com.au) or madeit.com.au( Australia's etsy) but find it hard to drive business there. A few things sell but not nearly what I need to sell ( or used to at the markets) to keep the business feeding us. Any tips or tricks you could pass on. I find selling much easier when I can interact with my customer. Like everybody I want to know »How do you get it all done?«, because I'm also a stay-at-home-mom and don't get all done that I want. I love your work! Do you earn enough money for the time you're investing in your projects? My sister-in-law Jill told me about your site. I had a question regarding the adorable posters you make and sell on Etsy. I have been wanting to make and sell my own but can't quite figure out the process. I have searched all over the internet for tutorials and d.i.y. The most frustrating part is I cant find a single how-to. What is the process like and and how do I get started making my own? Please help! I love reading your blog, thank you for sharing! I would like to know when you are able to do your sewing. I have a 15 month old, and naps are getting sporatic. I mainly sew only at night, after she is asleep. Do you make a time during the day? Do you keep the kids entertained with something during that time? 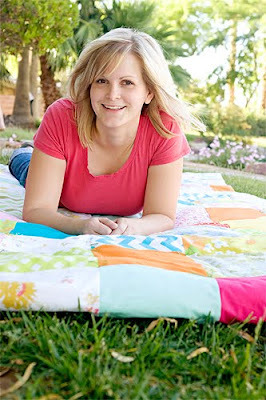 Your blog is a great mix of crafting, parenting, living. Girl I saw the MOST disturbing PBS expose on MEAT! GAG ME! I would have watched it, but the girlfriends were with me...and it was horrific! They said one of the best things you can do for the ocean is STOP EATING BEEF. 1/2 of what is caught is fed to cattle- CRAZY! Anyway, after this lil one is born I am on the minimal meat meal plan!!!! yeah i know you too well, i got nothin! love ya! Hi Candace! Thanks for sharing on your blog it is wonderful to hear about stay at home moms who are following their creative passions. 3 questions for you...1. Do you or did you have a mentor? 2. Is this a passion of yours in addition to a business 3. Did others influence you to take it from a hobby to a business or did you decide just on gut instinct?